Home / News / BE SINCERE! Between Jega And Yakubu, Who Do You Think Is More Honest With Our Votes? BE SINCERE! Between Jega And Yakubu, Who Do You Think Is More Honest With Our Votes? I have an interesting topic to discuss with you today. After the just concluded 2019 Election, there have been some allegations surrounding the current INEC Chairman Yakubu Mahmud that he’s incompetent and not honest with electorate’s vote. But there some states where their Governorship And Senate Result really shocked the electorates. It was during this year’s election we recorded downfall of big names in Nigeria Politics, the likes of Bukola Saraki, Akpabio, Shehu Sanni, Ajimobi etc. Meanwhile, the former INEC Chairman Attairu Jega who conducted the 2015 Election has been tagged “A Man Of Integrity“ because the Incumbent President then Goodluck Jonathan was defeated by his close opponent President Muhammadu Buhari which has never happened before. Even though there was a lot of drama during the collation of the result, the former INEC Boss still coordinated it in a peaceful manner. So Guys, If you asked to Choose One Out of these two men, Who Do You Think Will Be Honest Will Our Vote? Between Jega And Yakubu, Who Do You Think Is More Honest With Our Votes? The post BE SINCERE! Between Jega And Yakubu, Who Do You Think Is More Honest With Our Votes? 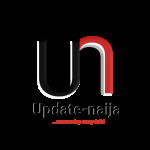 appeared first on Naijaloaded | Nigeria's Most Visited Music & Entertainment Website.